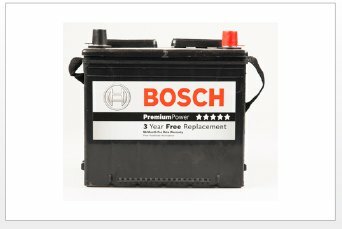 The lead acid car battery was the first rechargeable battery produced for commercial use. The battery is a storage device, which stores energy and provides a power source for all of the electrical and electronic accessories. It is a physical reserve of energy within the car that is used to power the vehicle during starting and during operation to provide energy for the lighting system and accessories. A battery stores energy in chemical form that can be released on demand as electricity. This electrical power is used by the car’s ignition system for cranking the engine. Should the alternator or accessory drive belt fail, the battery might also need to power the vehicle’s entire electrical system for a short period of time. Car batteries are made up of alternating negative and positive plates of lead and separators. Plates are bundled to produce about 2.2 volts and inserted into cells in the case. Cells are tied together by a strap of which one end forms the positive battery terminal and the other, the negative. These plates are submerged into an electrolyte solution of sulfuric acid and water. Elements in the electrical system that drain your battery. Leaving your headlights, radio, etc on when your car isn’t running. What are Symptoms of Failure? Most frequently, the vehicle will fail to start. Conventional car batteries last 3-4 years, much shorter in hot climates and those with poor road-quality. 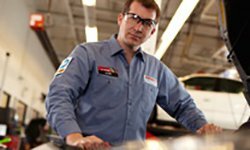 If you have questions or concerns about lead acid car batteries or any of your vehicle’s components, come into your local Pep Boys where we can answer any question, help you find any part, or perform any vehicle service you might need.